For any quilter a blue pen can be essential. As we cringe in order to use these blue pens on our beautiful projects hoping it will come out a lot of the time the blue stays in the finished product. I’ve tried chalk and pencils but always end up using a blue pen. Even if I can get the blue out it ends up coming back when the water drys. So when I heard about this hot product Blue Line Eraser Liquid, I got really excited! I know not everyone has these problems with blue pens but if you ask a few friends it’s not hard to find someone who left a quilt in a hot car or ironing over the blue pen marks that ended making them permanent and ruining their masterpiece of a quilt. 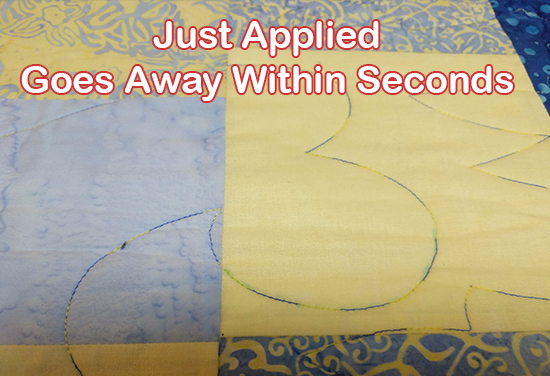 I have heard a lot of tips and tricks to avoid the blue pens and quilts which are mostly based on water and theories that have been handed down from quilter to quilter for years and generation to generation but I have not found any solution that has worked for me 100% of the time! This is why I was so thrilled when I found Blue Line Eraser! Now I finally have a consistent product to use when I need to get rid of my blue marks! The best part is the kit has multiple tools in it for different scenarios. So when I don’t want to worry about a big portion of my quilt I can use the easy pen style applicator! I use this when I mark and decide to change things up or if I just make a simple mistake. 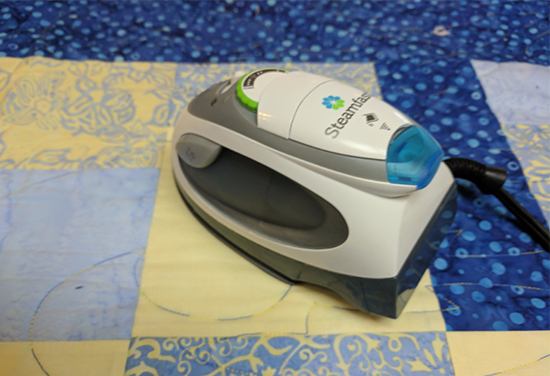 It reaches the smallest areas and the best part is it drys very quickly so you can get back to quilting. 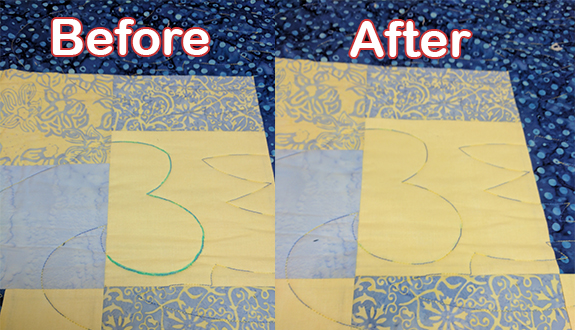 I have tested this product on an entire quilt and I am thrilled with the results. Even after intense ironing the marks are not coming back! I am so happy to find this solution!